Dr. George Huthsteiner is a pulmonologist primarily located in Long Beach, California. He is specialized in pulmonary disease and critical care medicine. He graduated in 1978, at University of California San Diego and completed his internship in UC Irvine – Long Beach, California, in 1979. Dr. Huthsteiner fulfills the fellowship at University of California, Los Angeles, in 1983. 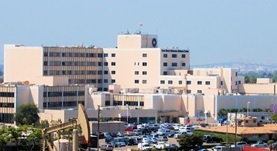 He is now affiliate with Long Beach Memorial Medical Center, Long Beach, California. He is certificate in pulmonary disease and internal medicine by American Board of Internal Medicine.